You and I both know the benefits that come from eating a diet rich in fruits and vegetables. And I’m sure you’ve heard about other “superfoods” like wheat grass, chlorella, and medicinal mushrooms. But sticking to a diet high in all those foods can be difficult. For one thing, high-quality, organic produce is expensive. And the more exotic ingredients can be hard to find. Luckily, there’s a great solution. Instead of spending your time washing, peeling, and chopping, you simply mix a serving of greens powder with water (or your favorite juice or smoothie) and drink it. Then, presto! You get the nutrition from all of those fruits, vegetables, and superfoods. It saves time, as well as the trouble of shopping and preparing. Unfortunately, most of the greens powders on the market either have mediocre formulations, sub-par ingredients, or taste awful – like sour mud! My name is Dr. Janet Zand. I’ve helped thousands of people achieve better health. Frankly, I’d like to help thousands more. Including you! That’s why I’m excited to recommend one of the highest-quality, green supplements available on the market today …that contains 22 certified organic nutrients. ✓	Highly bioavailable juice powders that are quickly and easily absorbed by your body for a mega health boost. ✓	Great taste without any added sweeteners (including Stevia, which can leave a bitter aftertaste). 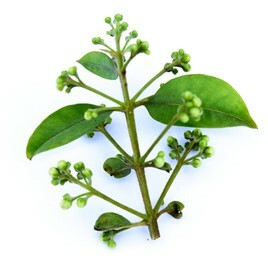 Adaptogens have been used effectively in both Traditional Chinese and Ayurvedic medicine for thousands of years. I like to call them “Nature’s Balancers,” because they work wonders to help you cope more easily with stress… improve your mood… and sharpen your mental focus. 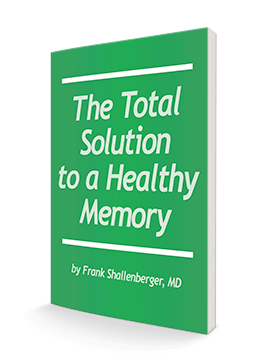 This amazing adaptogen also helps supercharge your energy during stressful times… sharpen your memory and focus… and improve the quality of your sleep. It even boosts your immune system! In a Russian study of 13,096 auto workers, Siberian Ginseng cut the number of sick days by 35%. Just imagine how much more productive and enjoyable your life would be with 35% LESS sickness! 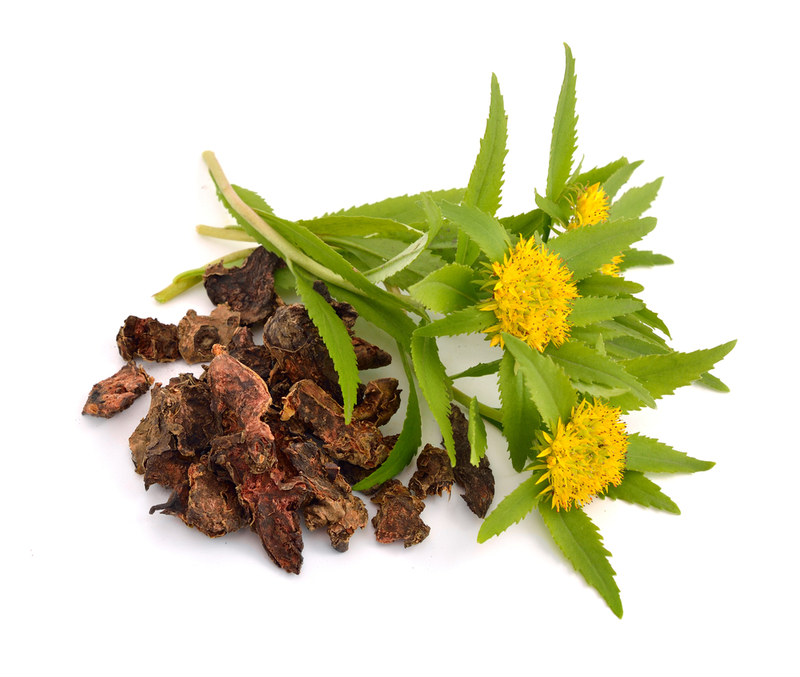 Rhodiola root – This yellow-flowered herb increases the production of serotonin – your “feel good” neurotransmitter. This helps blast away stress… boost your energy levels… and ease depression. A 2002 review of numerous studies in HerbalGram, the journal of the American Botanical Council, found that rhodiola helps prevent fatigue and stress and enhances your immune system function. Plus, it increases sexual energy, especially if you’re a woman. 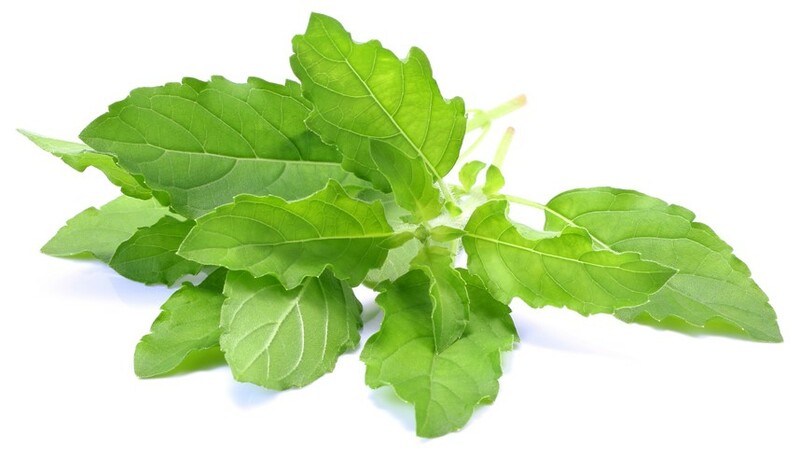 Holy Basil Leaf – For thousands of years, holy basil has been used to treat the common cold… relieve digestive complaints… and normalize blood sugar levels. But this powerful adaptogen really shines when it comes to combatting stress. You see… when you are under chronic stress, your body continually releases a flood of cortisol and corticosterone. 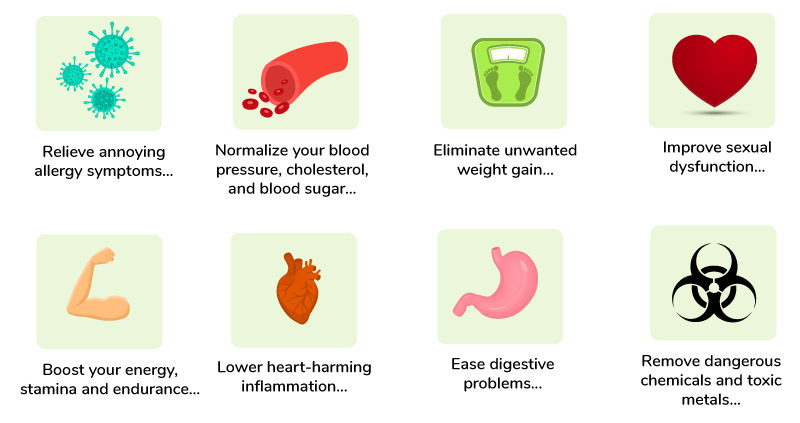 These stress hormones cause anxiety and depression… impair your digestive function… suppress your immune system… and make it difficult to lose weight. However, multiple studies have found that holy basil works wonders to decrease stress hormones – especially corticosterone. And, as a result, you cope better with life’s stresses… lift your mood… and think more clearly. Most greens supplements have ingredients that help boost your immunity. 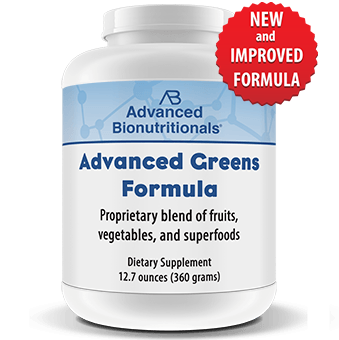 But, Advanced Greens Formula goes the extra mile by including five powerful beta glucan mushrooms. In each scoop, you get beneficial amounts of Reishi, Shitake, Maitake, Agaricus blazei Murrill, and the pricey Cordyceps CS mushrooms – to help regulate your immune system and encourage a healthy, normal response to germs, allergens, and other threats. Have you heard of quercetin? This potent plant flavonoid is lacking from the diet of most Americans – and it’s not found in many greens supplements. 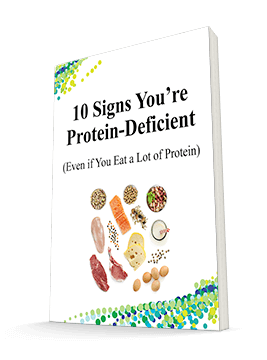 That’s a shame, because it just happens to be one of the most essential nutrients you can take for your health. Boost your cardiovascular health – by lowering cholesterol, fighting inflammation, inhibiting atherosclerosis, and normalizing blood pressure. Protect your DNA from damage caused by the onslaught of oxidative stress and toxins as you age. Ease allergies by suppressing – or even blocking – the allergic response. Boost immunity – for fewer colds and infections. That’s why you get quercetin in every scoop of Advanced Greens Formula – along with the finest nutrient-filled grasses… aqua superfoods (like chlorophyll)… potent liver health-boosters (like milk thistle)… vitamin C-filled berries… and so much more. ✓	And completely transform your health! Greens Formula – and SAVE up to $40.20! Place your order right now, and you can get one bottle of Advanced Greens Formula for only $39.95 – which comes to just $1.33 a day! Even better, if you order a 6-month supply, you pay only $33.25 per bottle – and save $40.20! It’s like getting one bottle for free. And you get FREE shipping with a 6 bottle order! As always, you are protected by our no-questions-asked, risk-free guarantee. If you’re unsatisfied with Advanced Greens Formula for any reason whatsoever, simply return the empty bottle within 90 days of purchase for a full refund of every penny you paid, including shipping and handling. Ordering is easy. Just order below, or call us at toll-free at 1-800-791-3395 (24 hours a day, 7 days a week). Once we receive your order, we’ll rush it to you right away. And within a matter of days, you can start getting the nutrients you need to increase your energy… calm your stress… boost your immunity… and improve your overall health. P.S. I searched long and hard to find a high-quality, greens formula like Advanced Greens Formula. Not only does it have stress-relieving adaptogens… immunity-enhancing medicinal mushrooms… and energy-boosting greens, but it contains the enzymes and probiotics you need to absorb every last nutrient. It gives your body the health boost it needs to thrive, so you can get the most out of your life. So don’t wait… place your order today. ACT NOW! Order Your Advanced Greens Formula Today!